The combination of epidemic meth addiction and strict drug laws have led to a dramatic spike in the rate of incarceration of women in the state, a South Dakota News Watch investigation has found. The number of women in prison has increased 35 percent since 2013. By comparison, the number of men in prison grew only 9 percent in that time period. South Dakota now has the fourth-highest rate of incarceration of women in the country, behind only Oklahoma, Wyoming and Kentucky. The South Dakota rate is nearly twice the national average. A large percentage of the women are serving sentences for non-violent, drug-related crimes. Their relatively short prison sentences not only cost taxpayers more to house and care for them, but also don’t allow time to address the addiction issues that landed them in prison in the first place. 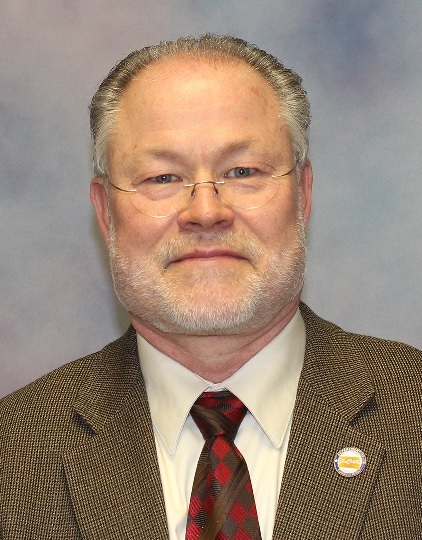 South Dakota Secretary of Corrections Denny Kaemingk is troubled by the trend, and believes that too many women are being incarcerated rather than treated for drug addictions. The tendency of police and courts to arrest and imprison women on drug charges is leading to an expensive, mostly ineffective cycle of incarceration, release and recidivism, Kaemingk said. South Dakota lawmakers and law enforcement officials have long supported tough drug enforcement laws as a way to protect citizens, reduce ancillary crimes such as burglary, robbery and assault, and to reduce the negative impacts of drugs on society. Lawmakers frequently enhance drug laws to protect the public. This year, Attorney General Marty Jackley pushed measures, later signed into law, to heighten penalties for meth dealing and to increase sentences for drug dealers who sell substances that lead to a death. But Kaemingk worries that criminalizing addiction, especially among women who are mothers, is enabling a pattern in which the children of inmates are more likely to end up in prison themselves. He points to national studies that have shown that up to 80 percent of children who have a parent in prison will someday end up in prison. Studies have shown that in general, treating drug addiction through rehabilitation is far less expensive than imprisoning people for drug crimes. According to the National Institute on Drug Abuse within the National Institutes of Health, the average cost of treatment for a drug addict is $4,700 compared to the $24,000 to incarcerate them. Traditionally, treatment programs and recidivism reduction efforts have focused on the male prison population, which far exceeds the female population in raw numbers. South Dakota corrections and social service officials are now trying to adapt treatment and counseling programs to focus more on the needs of addicted or incarcerated women. Efforts have begun to address poverty, a lack of job training, and understanding and overcoming past trauma such as sexual or domestic abuse many women suffered. The fate of children of women who are imprisoned is a constant concern of inmates and officials at the women’s prison, said Warden Wanda Markland. “That’s always a concern for female inmates – where are their children and who are they with?” she said. Donelle Goings, an IV meth user who is serving time on felony drug ingestion charges at the women’s prison in Pierre, said in an interview that the addictive power of meth is hard to understand for non-users. Goings said that she feels immense guilt over one extensive meth binge in which she left her daughter in the care of Goings’ grandmother who was battling cancer. South Dakota had 1,277 people in prison on 21 separate drug-related offenses in August, about a third of the total of all inmates, with possession of a controlled substance the most common crime among all others. The state has mandatory sentencing laws that include prison time for the manufacture, distribution and possession of methamphetamine. Many drug crimes quickly escalate into felonies. The most contentious drug law relates to Section 22.42.5.1 of state codes, which makes it a felony for anyone to have evidence of a controlled substance in their system. The “possession by ingestion” law, as it is known, is the strictest in the nation and allows for a felony conviction if a drug test reveals the presence of drugs, including marijuana, in a suspect’s system whether they have the drug physically in their possession or not. The 2001 law was challenged in 2004 but was upheld by the state Supreme Court. In 2017, a bi-partisan group of lawmakers filed Senate Bill 129 that would have chipped away at the law by removing marijuana from the list of drugs that can be possessed through ingestion. The measure failed unanimously in its first committee. 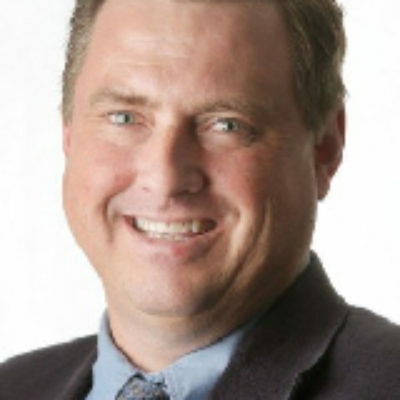 Kaemingk said he would like South Dakota lawmakers to revisit the state’s drug ingestion law that he said has needlessly increased the state prison population. According to DOC data, 361 inmates in the state prison system in August were sentenced for a primary conviction of unauthorized ingestion of a controlled substance, about 9 percent of the total. Of those in for ingestion, 117 are women, making up about 21 percent of the population of the women’s prison in Pierre. The ingestion law and others have led to a situation where female drug offenders are sent to prison but often only for short terms. 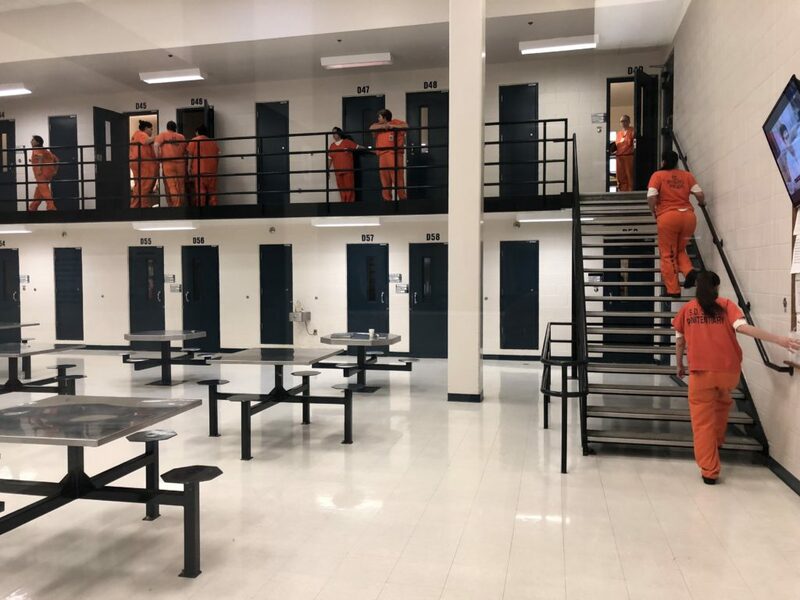 The average length of stay at the women’s prison in Pierre is only eight months, which costs the state significant dollars to process and house inmates who aren’t there for long. Experts note that even a short term in prison can negatively affect children and family members of a woman who is incarcerated, especially in matriarchal societies such as the Native American community. Furthermore, the short terms have hampered the state’s ability to utilize the four-phase, 15-month Intensive Methamphetamine Treatment Unit at the prison. Corrections spokesman Michael Winder said that in September the program did not have any participants. The program began in 2006, and in fiscal 2015 it cost $1.8 million a year and had 16 full-time employees, according to the DOC website. In the first nine years, it had served 624 inmates. In an email, Winder said the program began as a “therapeutic community model” in which participants lived together and had 50 hours a week of treatment. He said the program has not been utilized as much due to shorter average sentences, a loss of space due to crowding and because other treatment programs have been added. Sending women to prison rather than to treatment for non-violent drug crimes can push some inmates further into criminal behavior, said Darren Berg, deputy warden at the women’s prison. Some studies also suggest that harsh criminal penalties for drug use are inhibiting pregnant addicts from getting pre- and post-natal help to ensure their health and that of their children. A recent study by Amnesty International showed that strict drug laws, such as the felony ingestion law and defining drug use during pregnancy as child abuse in South Dakota, can scare pregnant addicts away from getting help. The number of women in prison in South Dakota has spiked in recent years and appears to follow the rise of the epidemic of meth addiction. The number of women in prison jumped by 35 percent from fiscal 2013 to fiscal 2018, from 418 to 564. The figure rose by seven percent from 2017 to 2018. Meanwhile, the number of men in prison rose 9 percent from fiscal 2013 to fiscal 2018, and only by 1.4 percent in the past year. State records also show that a far higher rate of women than men are in prison for non-violent offenses in South Dakota, with only 13 percent of women in prison for violent crimes compared to 48 percent of men convicted of violent crimes. 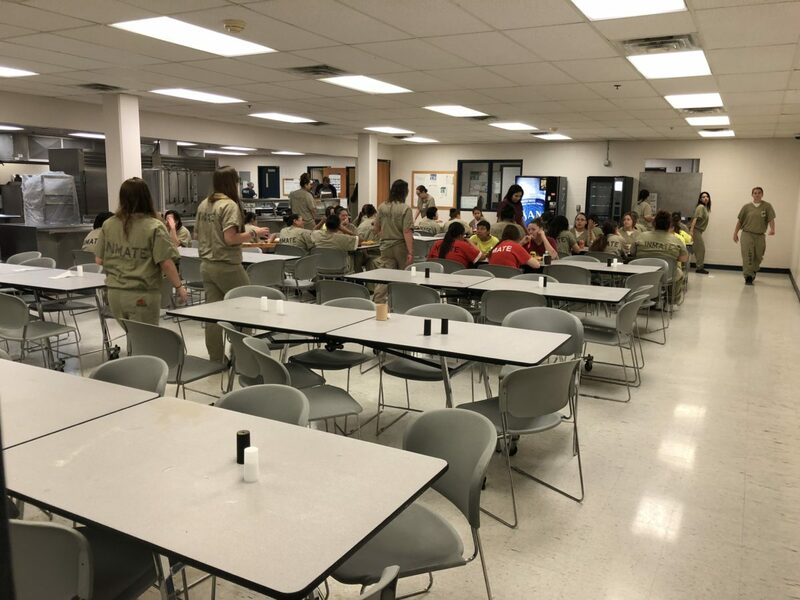 Of the roughly 557 women in prison or correctional work centers in South Dakota in August 2018, only 75 were convicted of violent crimes. Of the 482 women convicted of non-violent crimes, about three quarters, or 352, were convicted of drug-related offenses. That means almost two-thirds of women imprisoned in South Dakota were convicted of non-violent drug offenses. 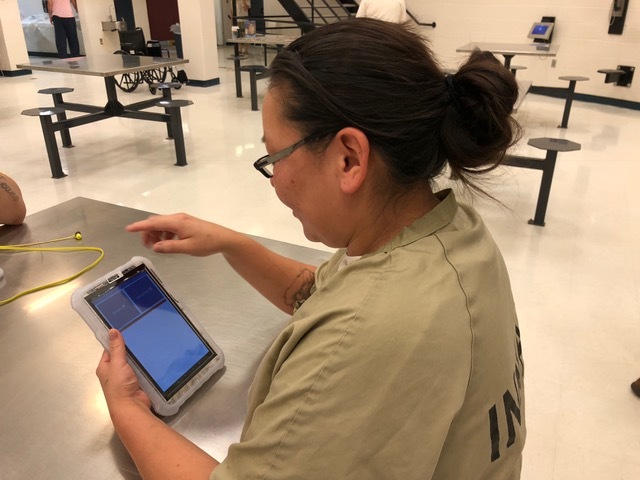 A disproportionate number – more than 54 percent — of the women in prison in South Dakota are of Native American descent, while the overall state population is only 9 percent Native American, according to the U.S. Census Bureau. The incarceration rate of Native American men in South Dakota is also disproportionate to the population, but not as dramatic when compared to Native American women. About 30 percent of men in prison in South Dakota are Native American. The meth epidemic is also leading more released women inmates to re-offend or test positive for drugs and be returned to prison. Recidivism rates for women inmates fell steadily from 2008 to 2011, but when the meth epidemic took hold in South Dakota around that time, the rate began to rise. From 2011 to 2016, the rate of women returning to prison increased by about 20 percent, to roughly one in five within a year of release and nearly four in 10 within three years of release, according to DOC data. Male recidivism rates have followed a similar path but have not risen as dramatically in recent years. Kaemingk said his agency is aware of the outsized impact the meth epidemic has had on women, particularly Native American women. After seeing a high rate of parole violations among Native Americans, Kaemingk sought ways to work more closely with tribes to reduce recidivism. 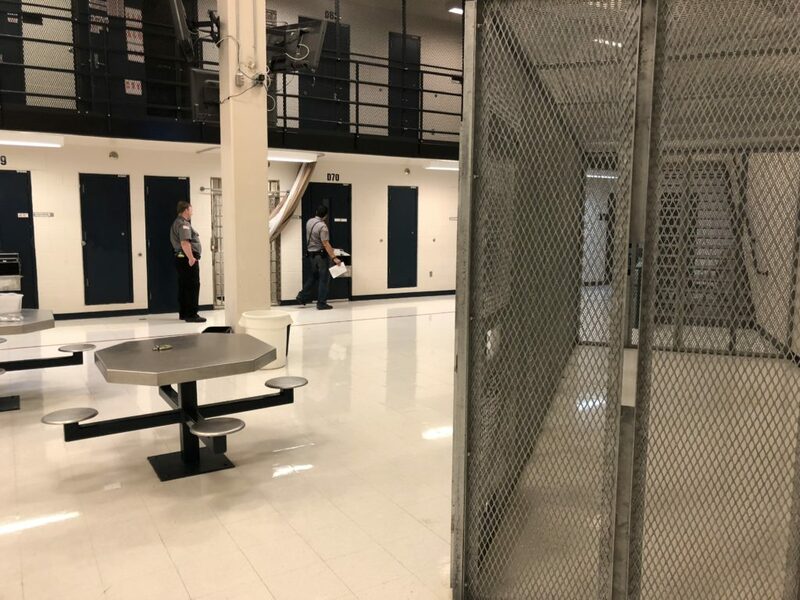 The corrections department has entered agreements with two Native American tribes in South Dakota to implement re-entry programs for released inmates to help reduce recidivism. In a 2014 agreement signed with the Sisseton-Wahpeton Oyate government in northeastern South Dakota, the state has provided funding for a re-entry agent and a vehicle and is covering other administrative costs for a program in which a local committee greets returning inmates and helps meet their needs. The tribe retains control over hiring the local agent and arranging membership of the committee in order to strengthen the impact, Kaemingk said.A similar agreement was signed this fall with the Flandreau Santee, Winder said. The women’s prison also allows motivational speakers, including recovering meth addicts, to speak to inmates. Former addicts spoke of their struggles to return to sobriety and society during a Fathers Against Meth program that began at a state men’s prison and was held at the women’s prison in September. Programs have also been held to strengthen spiritual connections and build esteem for Native American women. The DOC also recently launched a new re-entry and recidivism reduction program in Rapid City in which women on parole will receive intensive residential treatment as well as continued services once they enter the community. The program, known as the Intermediate Correctional Intervention Program, is being run by Lutheran Social Services of South Dakota. Qualifying participants will spend one to three months in an intensive, secured, in-patient residential treatment program based on the Hazelden treatment methodology, according to Rebecca Kiesow-Knudsen, vice president of community services for Lutheran Social Services in Sioux Falls. Participants will receive drug treatment, parenting classes, job and financial counseling, as well as relationship and interpersonal communication training. Once finished with residential treatment, participants will be released into the community but continue to receive addiction and re-entry services for up to nine months. LSS received a $570,000 grant for 2018-19 from the U.S. Justice Department to hire three case management and curriculum employees and pay for residential treatment space for the program. So far, the program that started this summer has six participants and is operating from the detox center co-operated by Rapid City and Pennington County, though the goal is to significantly increase participation over time. Less formal programs exist across South Dakota to aid inmates in their quest for stability. At the Woyatan Lutheran Church in Rapid City, Hannah Flemming runs a re-entry program for both men and women, and operates a halfway house in which women who hold jobs can get an apartment for $250 a month if they follow strict behavioral guidelines and stay clean. At weekly group sessions and through the housing effort, Flemming provides former inmates with mentoring, support, education and employment assistance. Using an endowment left by a deceased member of the church, Flemming will also sometimes make small payments for housing, transportation or other basic needs for participants. A key component of the program, Flemming said, is that the participants have a deep desire to change and improve their lives. Inmate Athanasia Comer, 38, of Sioux Falls, said that given the addictive nature of meth, and the challenges that inmates face upon release, making changes is nearly impossible without a deep commitment to living sober. Comer, who has been in and out of prison several times on drug charges over the past 15 years, said she has been through drug treatment seven times but it was ineffective because she did not have a support system and wasn’t fully ready to put in the work to change. After seeing her son “bounced around” in custody arrangements during her imprisonment, and knowing her daughter gave birth to a grandchild Comer has never met, she now insists she has been sentenced to prison for the last time. Kaemingk supports expanding treatment efforts and alternative punishment programs to keep drug offenders out of prison. He said more treatment programs, such as the 39-session Cognitive Behavioral Interventions for Substance Abuse often administered in prison, should be offered outside the prison in hopes of reducing the need for incarceration. Kaemingk said treatment that occurs in communities where offenders live is more effective because they have the support of friends, family and employers who can help them stay straight. Kaemingk also advocates for the expansion of the South Dakota Drug Court program, which provides alternatives to incarceration for offenders who remain off drugs. That program, he said, has expanded since its inception in Meade County in 2007 from about a dozen slots to about 400. The program features regular drug testing, more interaction with judges, intensive probation guidelines and treatment programming for offenders who can avoid jail or prison time if they comply and graduate. The effort to reduce the number of women in prison, and limit the impact on their children, may take new focus by all elements of the law enforcement and judicial processes. Capt. James Johns of the Rapid City Police Department said his agency puts a premium on protecting the children of people who are arrested. The department works in conjunction with the state Department of Social Services to ensure that when a mother is arrested her children are safely placed with stable relatives or is placed in DSS custody until the woman is freed or safe arrangement for placement can be made. Johns said it remains a challenge to ensure that the impact of criminal activity is minimized as much as possible for children. Comer said she is ready for release and an opportunity to be a loving mother to her son and a doting grandmother to her baby granddaughter to help break the generational cycle of addiction and incarceration. Comer is scheduled for release on Oct. 30, 2018, her 39th birthday.